Google+! Have you joined? You should join. Google's wants you to join. Google continues its plussification of everything with a new search update. 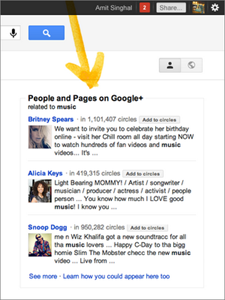 You can now expect to see profiles, pictures, and posts from your G+ circles in your search results. Ok, that was adorable. Try to focus though. 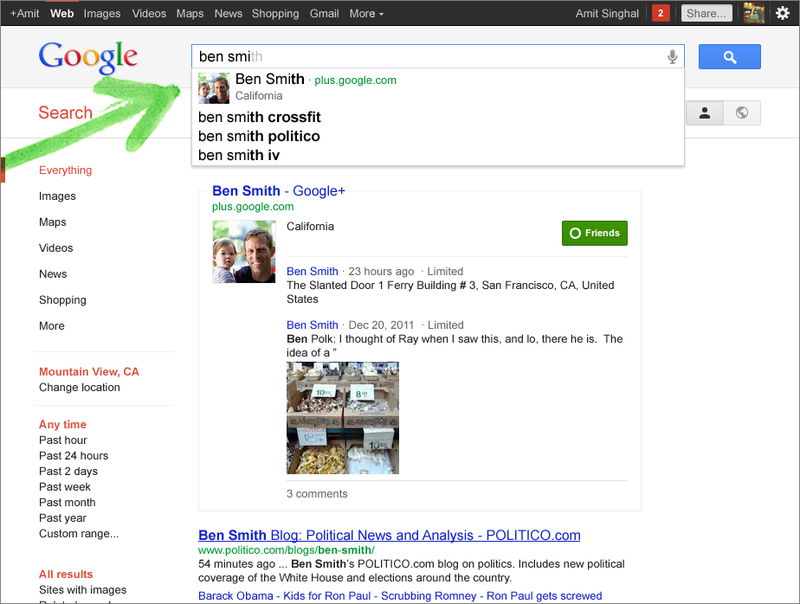 Google+ is now going to be EVERYWHERE in the default search results. I mean everywhere. Autocomplete, the sidebar, the results, everywhere. That picture on the right over there? That's an example, from Google, of a search for "Music" bringing up Britney Spears' G+ page. Words escape me. which is right on your search results page. It will turn off all this crazy personalization crap, so you can do a regular, old school Google search. Breathe. It's going to be ok. This button means "no results from your friends, no private information and no personalization of results based on your Web History." The toggle button setting won't be remembered, but you can make regular search the default in your search settings. Switchable search option buttons are a very interesting idea. I wonder if a button that turned off all Google self-promotion would let them dodge the antitrust bullets being fired by local, airline, and product search companies. All other social networks should start freaking out right about... now. Facebook's lawyers were not available for comment.